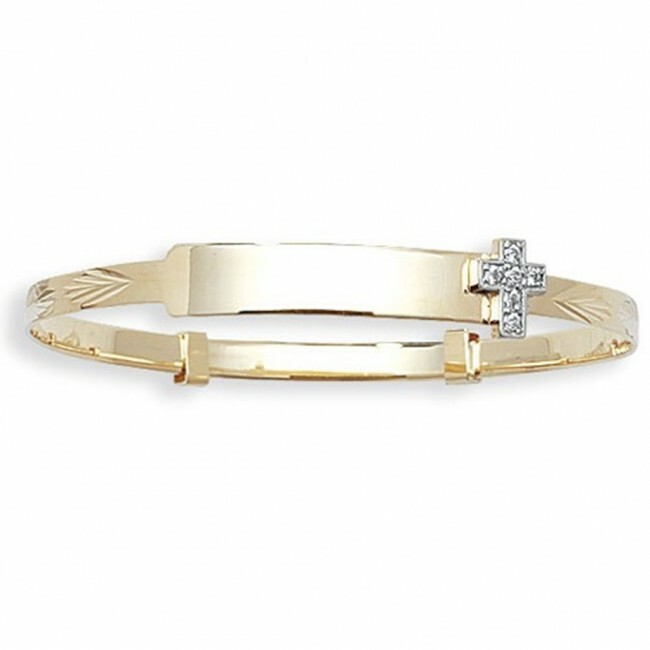 Childrens 9ct gold cross expandable christening bangle. 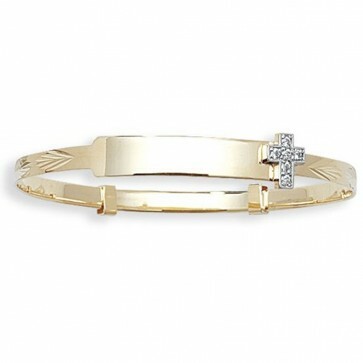 Bangle diameter is 40mm and 45mm when fully extended. Approximate bangle weight 2.9 grams. 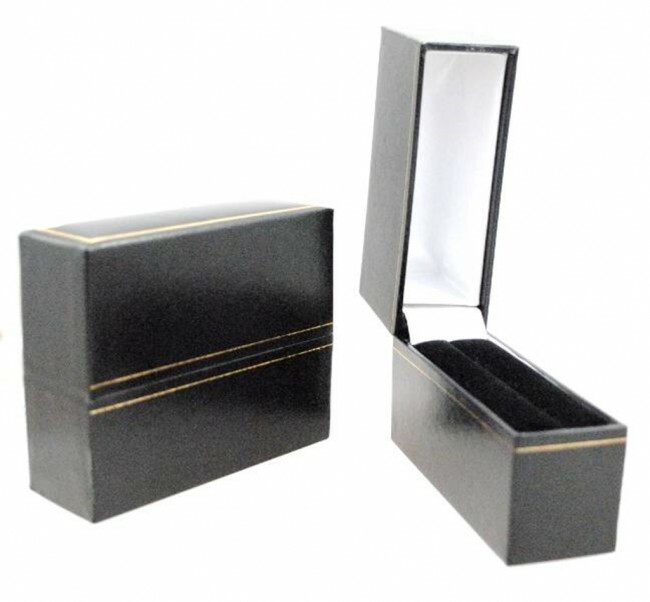 This bangle will come to you in a black leatherette gift box.